If you’re an employer, click here. 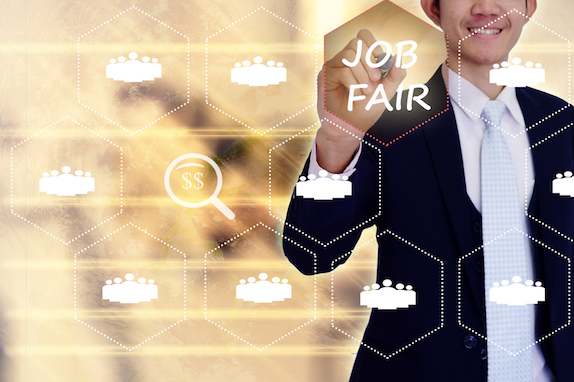 Whether you’re an active job seeker or just at the point where you are willing to explore new opportunities, AIChE is the best source for jobs that are targeted to your career goals and experience. Connect with leading employers from a wide range of industries, who are looking for chemical engineering candidates (B.S. through Ph.D.) to fill both entry-level and experienced positions. Interesting in attending? Click the link below to register! Before taking part in the Online Career Fair, consider polishing your job hunting skills by taking advantage of AIChE’s many career webinars. Click here to find out more. Remember, AIChE members have an advantage. Member resumes are given “front of the line” placement in the resume database. Plus, employers value AIChE membership as a demonstration of commitment to professional excellence. Not a member? Unemployed membership rates are only $50. Become a member and save on all of our career and technical services.